GATES 770XL-050. 77 inch. 385 teeth. Replaces Raymarine part D041, Timing belt A6R3-385050. Neoprene PowerGrip Timing belt. 770XL-050 Timing belt. 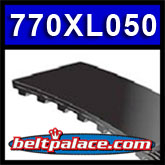 770XL GATES PowerGrip Timing belt. Replaces Raymarine part D041. 770XL-050. 77.0 inch Length. 385 teeth. 1/2” wide (13mm Wide). Replacement “XL Series” and A6R3-385050 industry standard Timing Belt. Popular replacement belt for electronic equipment and power tools such as marine auto helms, woodworking tools & lathes, pumps, and robotic equipment. B-850mm for ST3000 (770XL 050). Replaces RAYMARINE 850mm ST3000 belt #D041. Raymarine part D041. 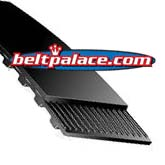 GATES Synchronous timing belt (Gates PowerGrip) 770XL x 1/2”.